ANVIL, the structured discussion group that meets in the Quaker Barn on Wincanton High Street, begins its sixth year with a new season starting this week. The seasons comprises five sessions, each dedicated to a specific topic. A main speaker presents on their topic of choice before a responder presents an alternative view. Willing attendees are then invited to express their opinions individually before the floor is opened to general, usually lively discussion. The evening concludes by 10pm with refreshments and socialising. Reading material relevant to each session will be made available on the ANVIL website, along with details of past and future sessions. Wed 6th Feb - Dave Wrathall is a science teacher with a masters degree in Intelligent and Adaptive Systems. He has become concerned and fascinated by Artificial Intelligence and Disruptive Technologies. Wed 10th April - Artist Zac Greening has been living in Wincanton since 2007. Examples of his work can be seen at www.zacgreening.com. He is an environmental artist who uses his artwork to campaign and raise awareness of the issues surrounding the consumption and degradation of our natural environment. Wed 12th June - Banker Charles Hall, who has been working and is still active with HSBC, will be talking about the Next Depression. Is it inevitable? Wed 18th September - Brian Garton, retired Head Teacher, will be talking about Has Liberal Democracy a Future? Wed 13th November - Julie Arliss, Founder and Director of Academy Conferences will be exploring the arguments and evidence for the claims of all religions and the claims of some parapsychologists that Individuals Survive Death in some form. 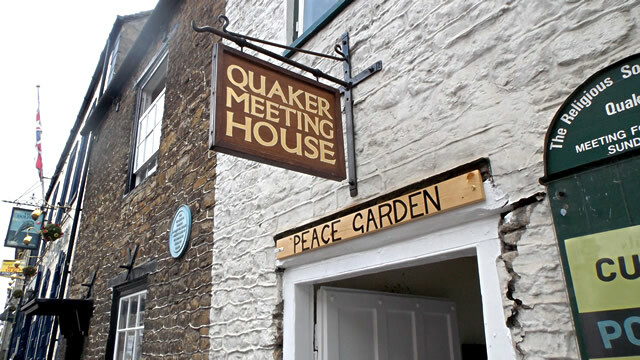 The Quaker Barn is accessed through Quaker Meeting House and Peace Garden off Wincanton High Street. Please arrive early as sessions begin promptly at 7:30pm. You are asked to contribute £3 towards our expenses (rent, speakers' travel and refreshments). Seats at each session are limited to 16, so please email to book your place. For more information, contact John Baxter at or on 01963 34537, or visit www.johnbaxter.org.